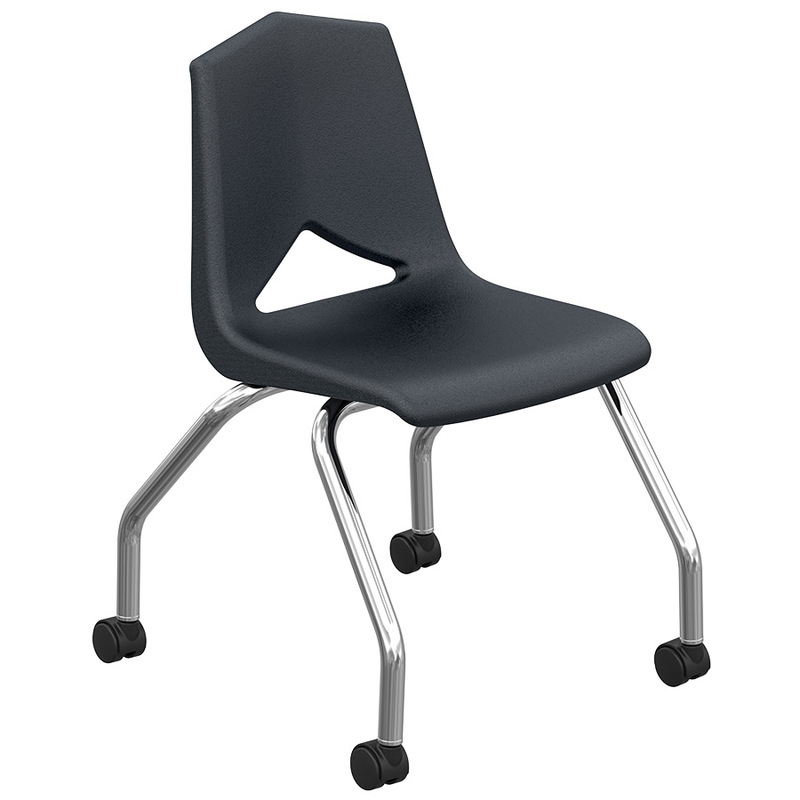 This sturdy, comfortable chair has been a classroom necessity for over 40 years! One-piece polypropylene shell is attached to an 18-gauge, unswaged leg (non-tapered), steel frame with concealed rivets and steel brackets. Features V-back for spinal relief and waterfall seat edge for comfortable thigh support. MG1100 series chair with 2” swivel casters for easier mobility. Available in black, navy, blue or burgundy with chrome legs only.